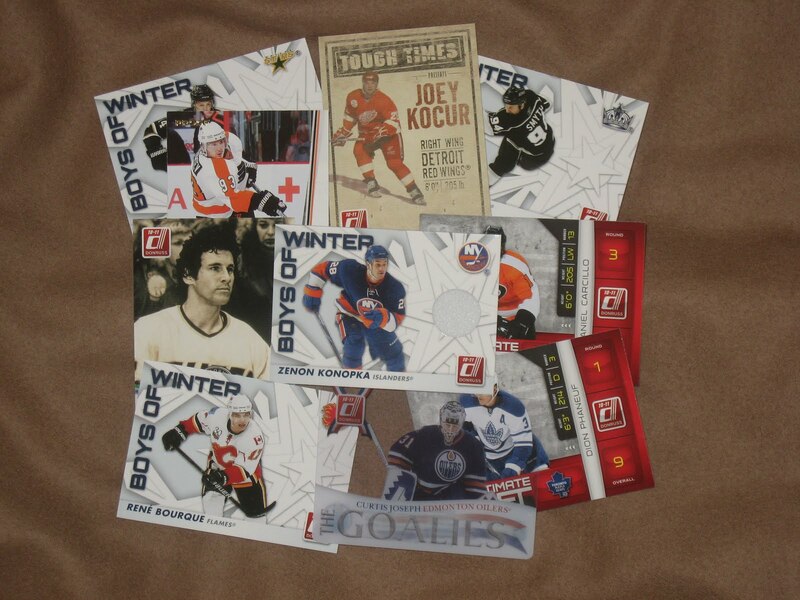 Don’t know if you saw our STREET-break™- Toronto at the Hockey Hall of Fame where we ripped into a box of 2010 -11 Donruss Hockey, the winner of our All About Cards 2010 Sports Card Award for Best Hockey Trading Cards. If you didn’t, here it is. As you can see it was a great break. The location was awesome, Kevin was a great interview and the box we broke had some strong hits. 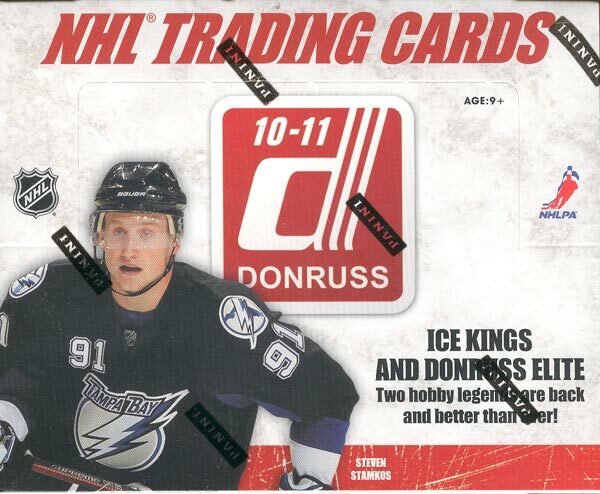 Don’t know if you saw our review of 2010-11 Donruss Hockey Cards. If you didn’t, here it is. 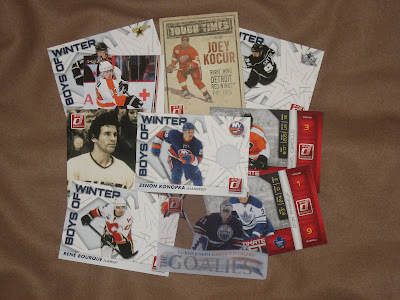 As you can see, the cards look great and the box we broke had some strong hits. 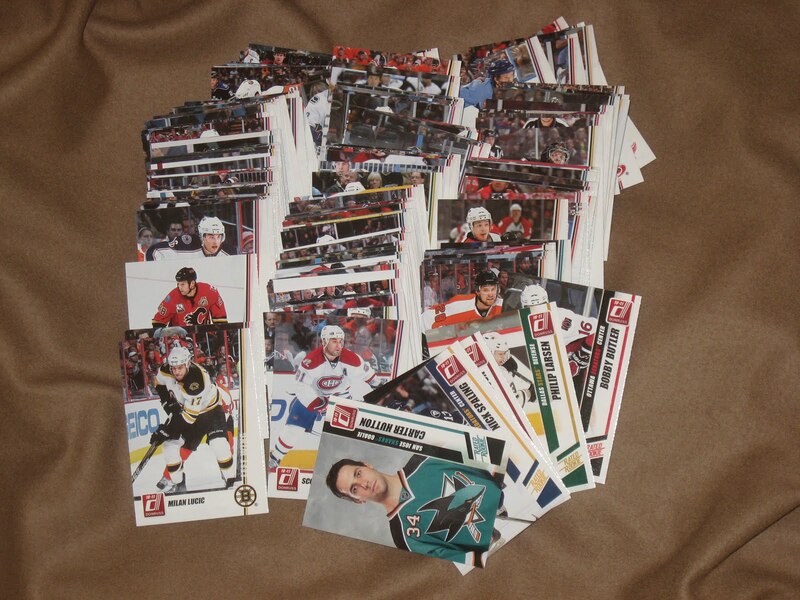 We’ve been feeling the need for a contest here on the old blog and we wanted to do something Hockey related. We contacted Panini America. As usual, they were extremely generous and agreed to supply us with a prize for our contest. So after two strong boxes of Donruss Hockey we decided to push our luck and go for a third box. Just like our other boxes, this one did not disappoint. Dare I say it might be the best one we’ve opened yet? Guess what... I just did. So here are the three prizes you’ve got a shot at in our Stanley Cup Playoffs contest. How’s that for some sweet prizes? Here are the rules for this contest. 1 – You can only enter this contest here on our Blogger site. One entry per person. 2 – You must be following our site for your entry to be valid. 4 – Once your entry is posted, you may not change or alter it, so review your entry carefully before sending it. If you delete your entry, you MAY NOT enter again. 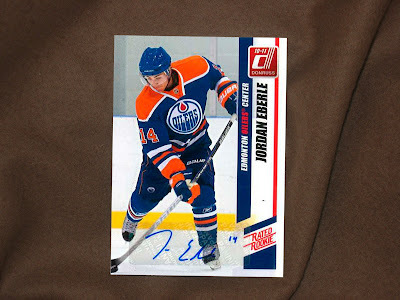 5 – You have until May 19th, 2011, 7:00PM EST to enter. 6 – Only one prize can be won per person. Each point you get earns you a slot in our randomized drawing. For our true early adopters we have two bonuses. 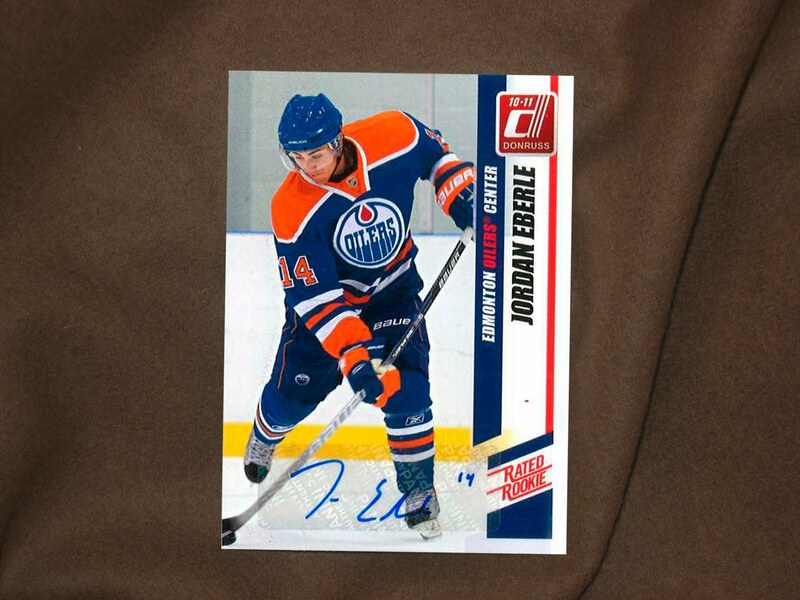 If you give us your guesses by May 14th, 2011, 7:00PM EST before the first puck is dropped, we will give you 2 guaranteed slots in our random drawing and we will double whatever points you get. So you could potentially wind up with 10 slots in our drawing. If you give us your guesses by May 17th, 2011, 7:00PM EST we will give you 1 guaranteed slot in our random drawing. We will announce the winners of our contest on the evening of the first game of the Stanley Cup Finals. So good luck, enjoy the playoffs and a big thanks to Panini America. Vancouver in 5. Boston in 6. The "early adopter" phase of the contest is over. You may continue to enter, until May 19, 2011 at 7:00PM EST. The contest is now closed to entries. Winners will be announced at the start of the Stanley Cup Finals. Good luck to all.